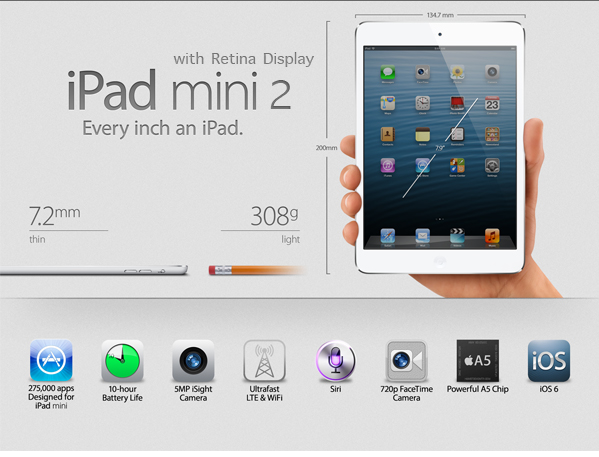 One of the most expected, and highly anticipated upgrades to the Apple lineup is that of the iPad Mini 2. Everyone is hoping for a retina version but it seems that these hopes have been dashed in the latest round of leaks from the assembly line. iPad Mini 2 Retina just a dream? 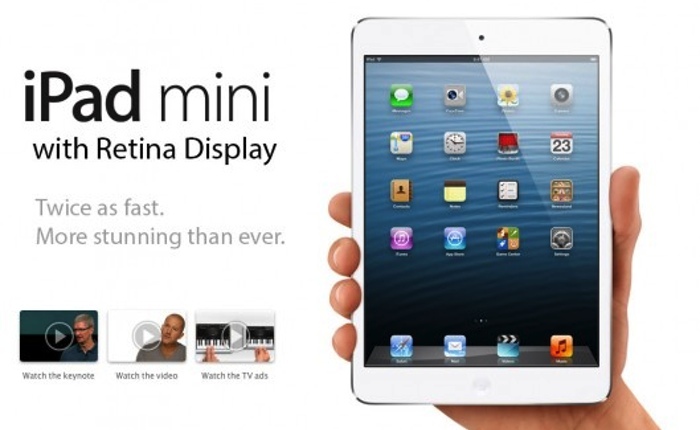 Sources have said that there will not be an iPad Mini 2 with a retina display released in 2013 due to display shortages, but will instead release a slightly updated version of the iPad Mini in the second half of 2013. This ‘updated’ refresh of the iPad Mini is expected to be lighter, thinner, and sport improved specifications – much like the ‘S’ upgrade cycle we see with the iPhone product line. The iPad Mini with a retina display is most likely to appear in early 2014, with not only improved specifications, but also a 2048 x 1536 resolution screen, together with a redesigned shell which will see an almost bezel-free look. The iPad Mini in 2014 will apparently use thin-film technology which will enable Apple to reduce the weight of the device by 20-30%. Apple are also planning on reducing the bezel of the iPad Mini even further to allow for a bigger viewing area, which will consequently reduce the size of the device. The iPad Mini 2 and the iPad 5th Generation are both likely to appear at the same time, and both be of similar design. It is expected we’ll see both these new devices in the September to October time-frame. However, hopes of a retina display iPad Mini in 2013 seems very unlikely given the sources information, and it ties in to what we’ve been hearing for a while – the supply chain are really struggling manufacturing the updated retina screens for the iPad Mini form factor. Let us know what you think. Are you disappointed in the news, and would you skip the iPad Mini 2 if it wasn’t retina?